Not a people person but love to travel? 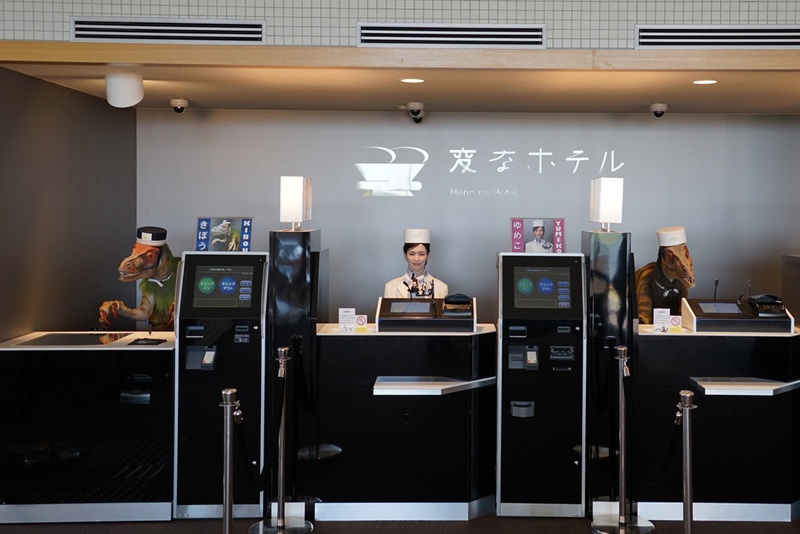 Check in to Japan’s The Henn na hotel, where the staff are robots. And of course the English-speaking velociraptor dinosaur receptionist is a robot too. And yes, that girl you see below in the video preview in also a robot. It’s robot galore in the hotel, from the front desk to the bell boy. Instead of electronic key cards, guests use facial recognition technology to get inside their rooms. That’s not just another feature — it’s because robots aren’t good at finding lost items. Then there’s also the ‘robot cloak room’; a giant robotic arm in a glass room at the lobby. It’s basically a fancy safe for all guests. Our bet is that the robot arm will fight intruders and thieves to the death. Hideo Sawada, who runs the hotel, says the robot staff is not a gimmick but a way for them to save cost and maximise efficiency by using technology. “I wanted to highlight innovation,” Sawada said. “I also wanted to do something about hotel prices going up,” he says. To ensure no one runs off with a robot, and to keep guests safe, the hotel still employs real human beings for security. Not to mention, an important housekeeping task. “They still can’t make beds,” Sawada admits. While you’ll find 24/7 butler service and in-villa chefs on The Luxe Nomad, you simply won’t come across a robot-staffed hotel for now, unfortunately. Just regular, though pretty luxurious villas.